Whether it is to reduce expenses, maximize efficiency, or increase capability, engineering firms across the globe are quickly moving towards outsourcing. Lack of in-house specialists, urgent requirements to speedup delivery, need for flexibility, and limited budget are some reasons why companies are outsourcing engineering services. Today's engineering firms outsource to fulfill not one, but a plethora of business requirements. Engineering services, when outsourced to India, can give you several business enhancing benefits. Lower hourly rates are not the only benefits of outsourcing. 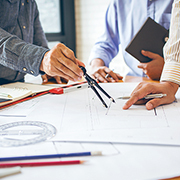 Fewer expenses in maintaining the in-house team, no added administrative costs, no trainings, and no overhead costs are some of the major benefits of outsourcing engineering services. Your valuable time and efforts can be channeled into your core business through outsourcing. Reduced Overhead Costs - This is one of the biggest benefits of outsourcing engineering services. As per recent surveys, engineering firms can drastically reduce the cost of labor, along with the other investment costs by a whopping 30 to 50%. The revenue that is saved through outsourcing can be invested into core business functions. Access to Trained Engineers and Best-in-class Technology - When your business offshores engineering services, you will get immediate access to a team of trained and skilled engineers who have ample experience in engineering. Besides, the outsourcing firms leverage advanced engineering tools and technologies to serve their clients. So, your firm can also tap into the potential that the latest engineering software and technology has to offer without having to invest in them. With the combination of the best technology and skilled engineers, you can be assured of top-notch engineering services. Fast Turnaround Time - Outsourcing engineering services assures business with faster turnaround time. Engineering service providers have the capability to implement suitable strategies and complete projects quickly as they have access to a ready team of trained and skilled engineers. With outsourcing, you can be sure that your deadline will always be met, sometimes even much earlier than what you had planned. Effective Resource Management - Only outsourcing can give you the flexibility to leverage suitable engineering resources as and when you need them, avoiding the need to invest in permanent resources. With the extra assistance that comes with outsourcing, your firm will have increased flexibility, which enables you to take up more engineering projects and expand your customer base. Increased Focus - As outsourcing service providers set aside dedicated engineers for specific projects, all their resources will be completely focused on completing your job. Therefore, by outsourcing, you can comfortably shift the efforts to the service provider and focus on core business activities. Though there are cons associated with outsourcing engineering services, they can be minimized or even eliminated by choosing the right service provider. Evaluating the advantages and disadvantages of outsourcing engineering services can help you decide if you should outsource engineering services or not. Why Outsource Engineering Services to Outsource2india? We, at Outsource2india can open up big opportunities and bring in extremely good results when you partner with us. At Outsource2india, we are a leading outsourcing firm and have gained the trust of several engineering firms across the world by providing efficient engineering services. We promise to bring our specific project management expertise and rich multi-domain experience to provide you with quality services, at an affordable cost and within a fast turnaround time. Our structured workflow and quality assurance will ensure that all your expectations are met. With Outsource2india as your partner, you can be sure to enjoy the benefits of outsourcing engineering services. Get in touch with us today to outsource engineering services and discuss your requirements with our professionals.